The world of genetic engineering has fallen even further into the surreal with the announcement that New Zealand “scientists” have unveiled a genetically modified mutant cloned cow which they say produces a reduced-allergen milk for consumption by human babies. This is being reported by the BBC and elsewhere. Horrifyingly, these Frankenscientists cloned a cow and then altered the embryo using RNA interference. After gestation, the mutant GMO cow was born without a tail! But these scientists say that’s no problem, and that the mutation of having no tail couldn’t possibly be related to anything they did with the cow’s DNA. I’m not making this up. This is the insanity of the quack science world in which we now live. The entire project is a fool’s errand to begin with since the reason most humans are allergic to cow’s milk is because of pasteurization which destroys lactase enzymes. RAW MILK is far easier to digest, but of course raw milk has been all but criminalized in America, where the FDA along with Ventura County and LA County in California actually stage armed raids on raw milk distribution centers and throw people in jail. James Stewart, for example, remains in jail this very day for the “crime” of being involved in raw milk. Sign the petition HERE to demand freedom for James. So while criminalizing fresh milk and pushing an inferior, dead, pasteurized milk that causes allergies in those who drink it, the corrupt food system in America is almost certain to embrace mutant genetically modified cloned cow’s milk and call it “safe” for infants! Never mind the fact that the genetically altered milk produced by this cow had “double the concentrations of caseins,” as The Guardian is reporting. To make Daisy [the cow], scientists took a cow skin cell and genetically modified it to produce molecules that block the manufacture of BLG protein. The nucleus of this cell was then transferred into a cow egg that had its own nucleus removed. The reconstituted egg was grown in the lab until it formed what is called a blastocyst, a ball of around 100 cells, and then transplanted into the womb of a foster cow. The cloning technique is not efficient. Of around 100 blastocysts the scientists implanted into cows, more than half of the pregnancies failed early on, and only one live calf, Daisy, was born. And even that calf was a mutant calf, born without a tail, rendering the whole thing a horrifying example of genetic mutilation. These outrageous experiments on animals are rightly called “genetic mutilation.” These animals are being mutilated. Ninety-nine percent of them DIE before they’re even born, and the ones that somehow manage to be born are mutants. This research is a dangerous journey into the horrors of “unanticipated consequences.” And to think… these Frankenscientists want human babies to drink this milk! It must be great for babies! So let me get this straight: It’s illegal in America to milk a cow, sell that fresh milk to a neighbor and have their baby drink fresh milk with all the digestive enzymes intact. But it’s perfectly acceptable in our world to engineer mutant cloned genetically modified cows to produce hormone-induced, artificially-engineered milk that will be fed en masse to human babies? This has got to stop, friends. The mad GMO scientists are operating in gross violation of natural law. They are playing genetic roulette with Mother Nature. They’re fumbling in the dark with dangerous tools, like children with suitcase nukes and a happy red button that seems inviting to just push and see what happens. Our modern-day human civilization has neither the ethical foundation nor the wisdom to pursue such technologies. Altering the digital code for the expression of life is not something to be pursued under the crude selfishness of corporate greed, nor the wild fantasies of naive scientists who relish in playing “what if” experiments with all remaining life on our planet. These experiments on animals — and crops — are worse than foolish. They are inherently evil… even demented. Just because we know how to alter DNA doesn’t mean we have the wisdom to understand the consequences of doing so. Yet in the race for the next biological profit machine — a cow, a crop, or even a pharmaceutical — caution is thrown out the window and replaced by pure mindless greed. With the GM crops, the GM wheat that alters human liver function, the GM corn that causes cancer tumors, the GM cows and the GM seeds being carelessly strewn about, we are risking a genetic apocalypse that could destroy humanity in a cosmic blink of an eye. No one knows what happens when the genetic engineering of mutant chimera animals get unleashed across the land. Nobody really knows the long-term effects of genetic pollution. 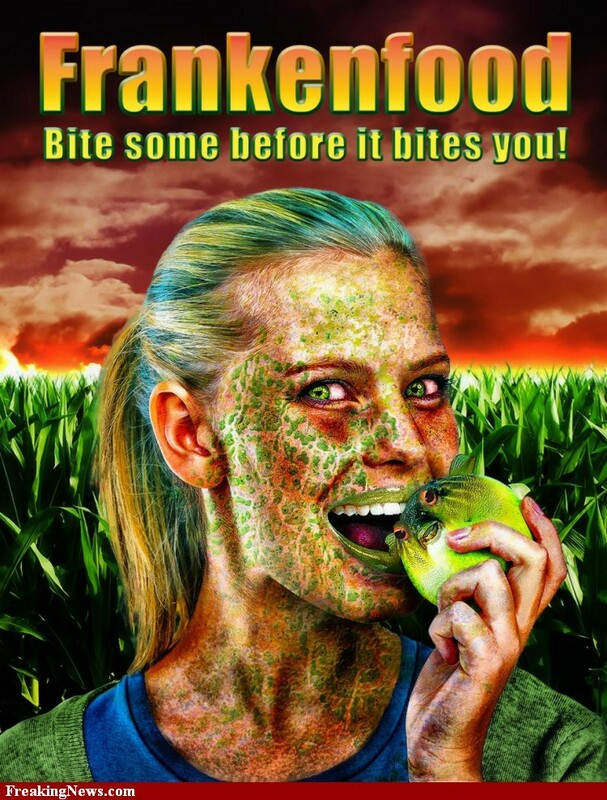 Nobody even knows the long-term effects of humans eating GM crops! So it’s all a grand, malicious, conceited genetic experiment being carried out on us all: our bodies, our children, our lands, our animals, our crops and our planet. It is disgusting. It is an abomination. I pray for the sake of humanity that all genetic engineering activity in our planet is halted by any means necessary. They risk everything. And there is no backup plan. In May 2012 I attended the Low Carb Cruise featuring cardiologist Dr. William Davis. The cruise was a great experience where I got to hang out with many leaders in the health and wellness field. Dr. Davis is the NY Times bestselling author of Wheat Belly: Lose the Wheat, Lose the Weight, and Find Your Path Back to Health which outlines how wheat is contributing to many health conditions including diabetes, cancer and obesity. Dr. Davis even overcame his own Type 2 diabetes diagnosis by changing his diet. The following are some of the reasons your daily bread, cereal and pasta are ruining your health. According to Dr. Davis “eating more healthy whole grains” is ineffective, fattening, and downright destructive. All types wheat (including whole wheat) have a high glycemic index (GI), which can increase your glycemic load and create Type 2 diabetes over time. Amylopectin A is a complex carbohydrate that is broken down quickly in the mouth and can raise blood sugar more than 6 teaspoons of sugar. 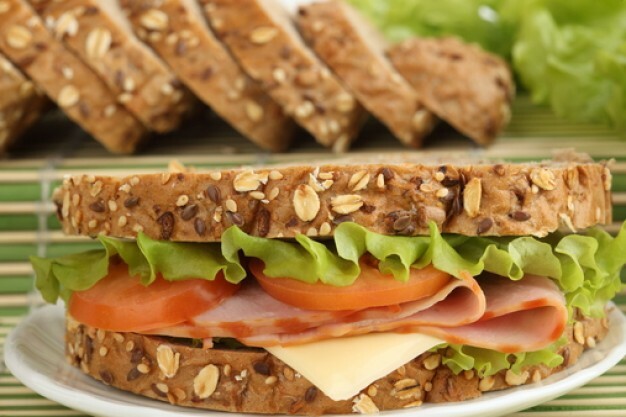 Eating just two slices of whole wheat bread will raise blood sugar more than a Snickers bar. Amylopectin A is a starch in wheat that triggers an increase of dangerous small LDL particle formation which is low density cholesterol that can get clog blood vessels. A diet high in carbohydrates such as bread will create too much small dense LDL. Wheat has gliadin which is an addictive opiates that stimulates our appetite throughout the day and impairs our ability to say no to high carbohydrate foods. These exorphins cause food obsession and unbearable hunger. Genetic manipulations were used in the 1970′s to create a high-yield, short and stocky strain of wheat which creates an agricultural Frankengrain. These changes to the plant altered the amino acid profile, meaning the wheat of today has totally different effects on our delicate digestive systems than the grains of early agricultural times. Wheat consumption stimulates an excess of female hormones in men which reduces testosterone, creating male breasts and erectile dysfunction. Amylopectin A is a starch in wheat that sets off a vicious cycle of deep abdominal belly fat and hormone havok. Extra belly fat makes inflammatory chemicals that promote estrogen dominance which increases cancer risk in men and women. Wheat is hidden in most boxed foods to stimulate appetite to keep us coming back for more. After the introduction of agricultural products like wheat, about 10,000 years ago, human health declined. Early agricultural people showed signs of cavities, short stature, poor facial structure, and lowered bone density when compared to traditional hunter-gather cultures. Seemingly nutritious wheat germ and sprouted wheat has lectins, which are poisons that keep humans from digesting the seed. These lectins cause significant damages and irritation in the small intestine over time. Wheat germ agglutinin found in the wheat kernels unlocks the tight barriers of the small intestine letting undigested food into the bloodstream increasing the risk for autoimmune conditions such as MS, Lupus, Chrohn’s, and Hashimoto’s thyroid disease. Fiber can be abundantly and easily obtained from fruits, vegetables and nuts. Wheat and other grains can cause constipation, the opposite effect most people are seeking from fiber. Wheat consumption can interfere with the production of neurotransmitters such as serotonin in the small intestine creating depression, rage and anxiety in many people. Long term ingestion of wheat can cause heartburn because food ferments and expands in the stomach. This undigested food pushes acid into the esophagus. Wheat also neutralizes important digestive enzymes in the stomach delaying the assimilation process, which creates more discomfort. Here we have another example of the total hypocrisy of the European Soviet Union who have threatened Bulgaria with heavy financial penalties should they fail to comply with safety standards in regard to GMO crops when Bulgaria has already stated that a complete ban on these Frankenfoods is in place in their country. How could they be any safer than that? The fact is that this is simply a threat through the corrupt legislative forum disguised as the European Court of Justice to force Bulgaria to grow these dangerous substitutes for real food by means of economic terrorism on behalf of corporations such as Monsanto who have the EU in their back pockets with no shortage of financial slush funds to bribe politicians and legislators inn a country well versed in corruption. Some of the foods that scientists are genetically manipulating – and dumping into grocery stores – make it impossible for plants to reproduce naturally. These plants have what are called terminator genes inserted into them and terminator genes are literally designed to end the reproductive ability of the plant. According to GMO manufacturers, these genes have no other purpose but to protect the profits of the manufacturers by discouraging seed saving. But what happens if these terminator genes permeate our own genetic make-up – the same way the genes of GMO soy incorporate themselves into the genes of our healthy bacteria? There’s been little to no testing of this, but perhaps it’s one of the reasons that animals consuming genetically manipulated foods often become sterile and have reproductive problems. Perhaps it’s one of the reasons that human infertility rates have been sky-rocketing too. Despite the extraordinary risks and deplorable consequences, the FDA stands firm that no testing is required for these new, genetically different foods that scientists are making up in laboratories. The agency is also staunchly against labeling these new genetic creations so that informed people who actually want to have children can easily avoid them.